Village Of Mt Carmel - Outside, you will be able to take in those long Indiana summer nights on back deck with a trail leading to your fire pit! MLS#21629569. CENTURY 21 Scheetz. 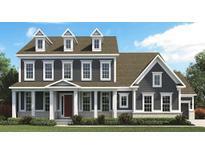 Carmel Village - Come See This Unique Home That’s Within Half A Mile Of Everything! MLS#21629775. Schmidt Realty, LLC. 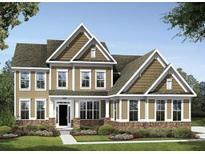 Lost Oaks At Haverstick - Close to shopping& Keystone, SR31, SR37 for easy access to Indy. 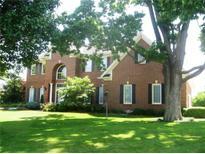 Carmel schools & Carmel lifestyle, MLS#21629977. Century 21 Bradley Realty Inc. Enjoy outdoors on a covered porch & patio w/ fireplace. MLS#21618657. CENTURY 21 Scheetz. Two New Hvac Systems. Seller Is Motivated. 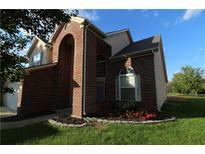 MLS#21629418. F.C. Tucker Company. Large basement features entertaining space, 6th bedroom & 5th full bath.Wonderfully maintained home with new roof & gutters (18),interior paint (17),garage doors (19),electric fence (18),H20 heater (19),added 6 bedroom (19),fridge (17),w/d (17),dishwasher (19),irrigation (17),alarm system (16) and so much more! MLS#21628741. 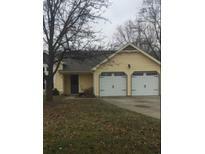 Keller Williams Indpls Metro N.
Lakeside Park - New roof,new exterior paint and pride of home-ownership! MLS#21628740. Keller Williams Indpls Metro N.
Most Major systems updated - Roof, HV/AC, Sump Pump, Electrical Panel, Sewer Line, Water Supply MLS#21629658. F.C. Tucker Company. Reduced **ready To Move In 4 bedroom / 2.5 bath Home In Popular Weston Ridge*Large 2 Story Entry Opens To A Very Welcoming Open Floor Plan*eat-in Kitchen With 2 Pantries,Expansive Counters,Plenty Of Maple Cabinets*family room Is Wood Burning & Surrounded By Built Ins*finished Basement With Lots Of Storage , Large Upstairs Bonus Room, Screened In Porch,Deck,Seperate Office & 3 Car Garage W/Large Built In Cabinets & Pegboard Are Bonuses*master Has Large Closets/,Garden Tub W/Seperate Shower,Double Sinks*custom Closet Organizers In 3 Bedrooms* 1/3 Acre Fenced Back Yard*new Kitchen Appliances Are Being Added And The House Has Whole House Surge Protector! MLS#21629470. United Real Estate Indpls.